The latest release for my trailer company, SonicTremor, has just been completed. 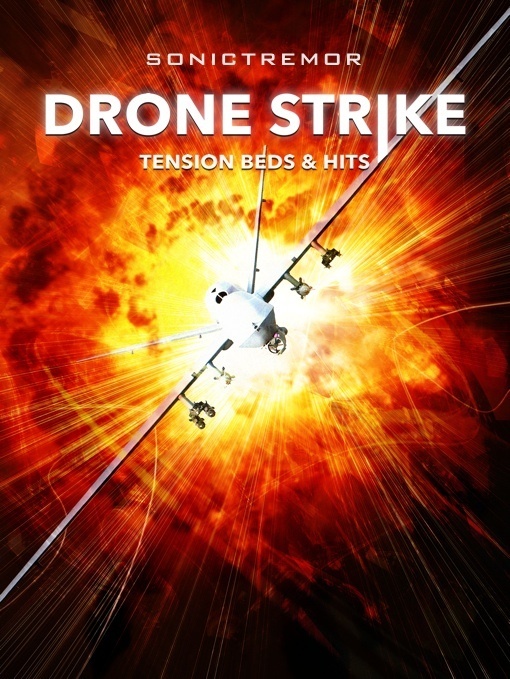 Drone Strike: Tension Beds and Hits is specially created for editors and sound designers. It’s a collection of fifty cinematic drones along with accompanying sound effects, across a wide variety of acoustic, electronic, organic, and synthetic styles. For maximum flexibility, each drone is presented in multiple versions. Every piece is offered as a 30-second drone, with some containing multiple mix variations. A selection of sound effects are also included for every drone: a drone-impact (the drone coupled with a impactful, ‘big’ boom), an impact-only (boom with no drone), and a riser-impact (drone crescendoing to big boom). Drone Strike offers an extensive sonic palette of dramatic options, specifically crafted for the demanding world of motion picture, television, and video game advertising campaigns. Drone Strike is available for licensing directly from SonicTremor. Video editors can request download codes by filling out a quick request form. This release is the second title in the SonicTremor series. The third and fourth volumes are in the latter stages of production and will be out by this summer.